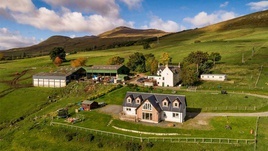 Galbraith have just launched to the market Duallin Farm, a productive livestock farm situated above Loch Tay, commanding outstanding views over the loch and onto the hills beyond. Extending to about 149.5 acres, Duallin Farm includes a traditional farmhouse, contemporary house and range of farm buildings. Planning permission has been granted to construct three holiday homes on the site, which could provide an additional income source. 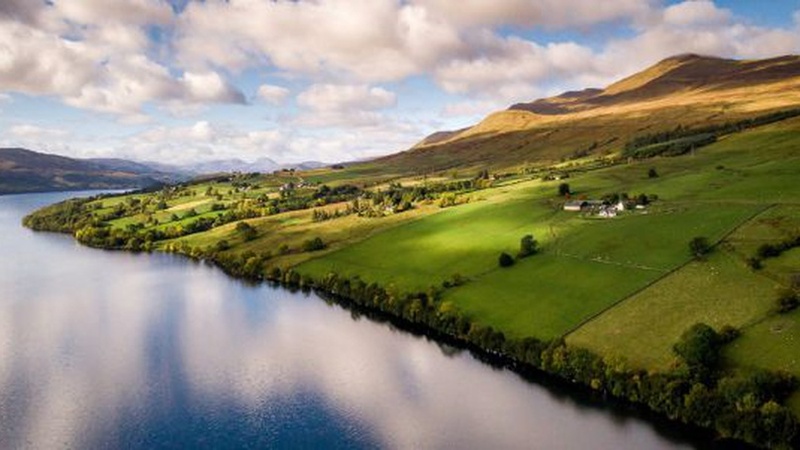 “Duallin Farm is situated in a highly scenic setting above Loch Tay and commanding impressive views. It is centred on two homes, one is the traditional farmhouse and the second is a contemporary six-bedroom house. “The new home offers the potential to continue or expand the bed-and-breakfast business. In addition, planning permission has been granted for the construction of three holiday chalets, offering great potential for the future. The land at Duallin Farm extends to approximately 149.5 acres and is a mix of permanent pasture and rough grazings. The farmland is set out in 12 good sized enclosures, with water provided by burns and there is good access to the land from the public road. Duallin Farmhouse is a traditional stone house with three reception rooms, six bedrooms and its own garden. The separate Duallin Croft is a contemporary house recently completed and finished to a very high standard and currently run as a successful Bed & Breakfast. The Croft has six bedrooms (three en-suite) and an attractive kitchen-dining-room-sitting-room, with views over the loch. The farm buildings include a cattle court, tractor shed with lean-to cattle court, implement store, and general purpose shed. Duallin Farm holds a Heritable Right to graze up to 300 sheep on the East Ben Lawers section of the National Trust for Scotland’s Ben Lawers National Nature Reserve. The land over which the grazing rights are held is situated immediately to the north of the farm. The grazing is currently shared with one other active grazier. The NTS land is designated as a site of special scientific interest. The grazing rights are available to purchase separately. Duallin Farm, Ben Lawers, Aberfeldy, Perthshire. For sale as a whole for offers over £975,000. 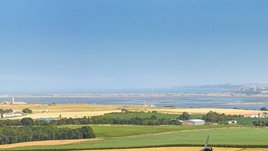 We provide our clients with a wealth of experience in the sale and purchase of farms in Scotland and the North of England.